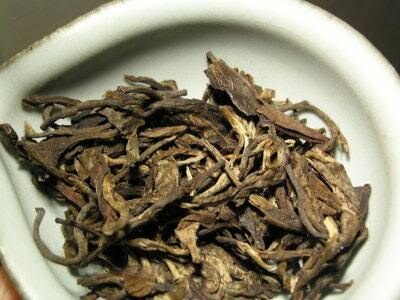 Beta - "You Le Zhi Chun"
This is the second sample of tasting of pu-erh teas made by Yunnan Sourcing. 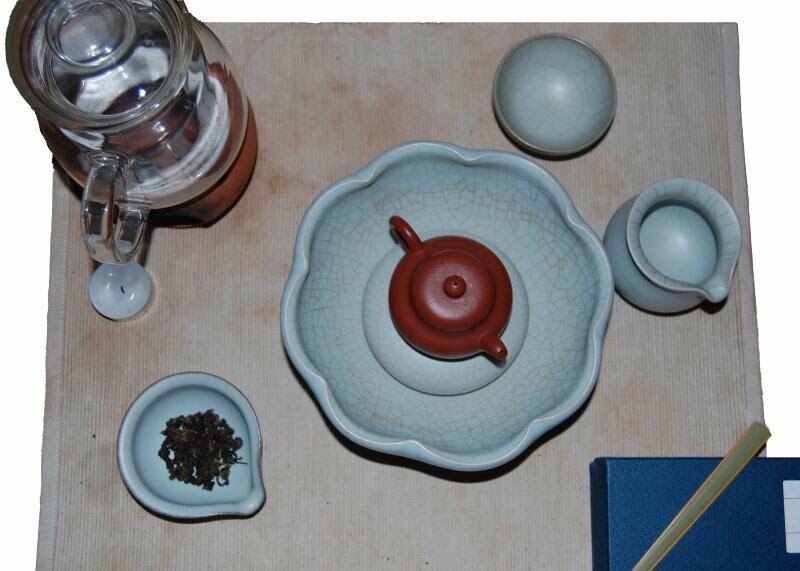 First was one of the most expensive teas made from high altitude Yi Wu mao cha, this tea is made from spring 2009 mao cha harvested in Long Pa village of You Le Mountain. The beeng is on a looser side with nice whole leaves. The fresh scent is less powerful, than the smell of the Yi Wu sample. I liked this tea less then the Alpha. 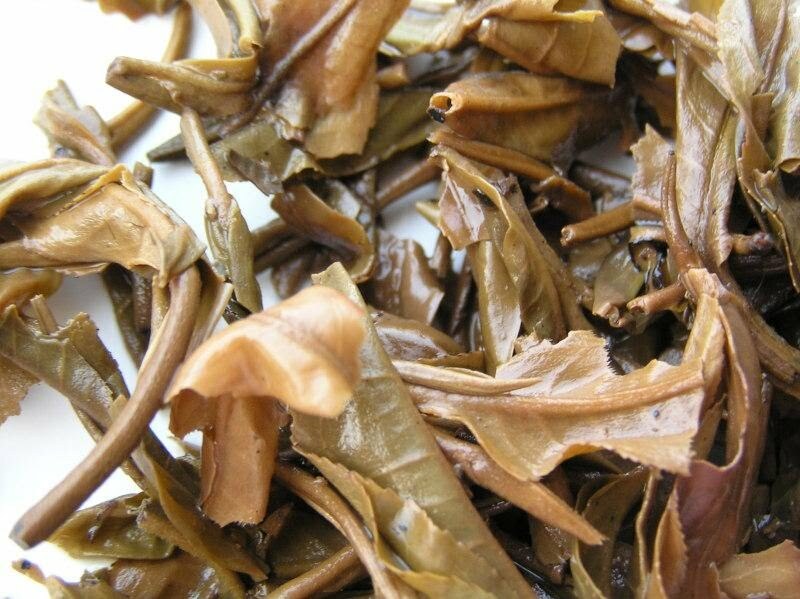 The overall craftsmanship is good, the tea produces clear yellow soup with just a little smokiness, lasts quite long and has some kick. Yet, it’s more crude then the first sample, with much less sweetness, fruitiness or vegetal tones. The leaves are mostly small, though some large can be found in the mix. The black dots tell us, that pesticides were probably not used this year, and that’s good. Some of them are much darker and shows signs of bad processing with too late kill-green step. Fortunately, these dark leaves are only a few. This is an OK tea compared to the whole selection of pu-erh offered by Yunnan Sourcing, yet from these five samples this is definitely not the tea of my choice. Other reviews can be found on Half-Dipper. Alpha - "Yi Wu Gua Feng Zhai"
This is the first of the series of cakes produced by Scott at Yunnan Sourcing LLC. 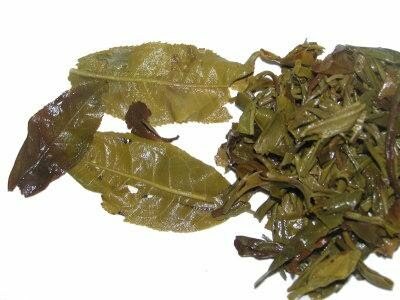 The tea leaves were picked at "Gua Feng Zhai" (The Stockaded Village of Howling Wind) - according to descriptions, one of the remotest and highest regions of Yi Wu. 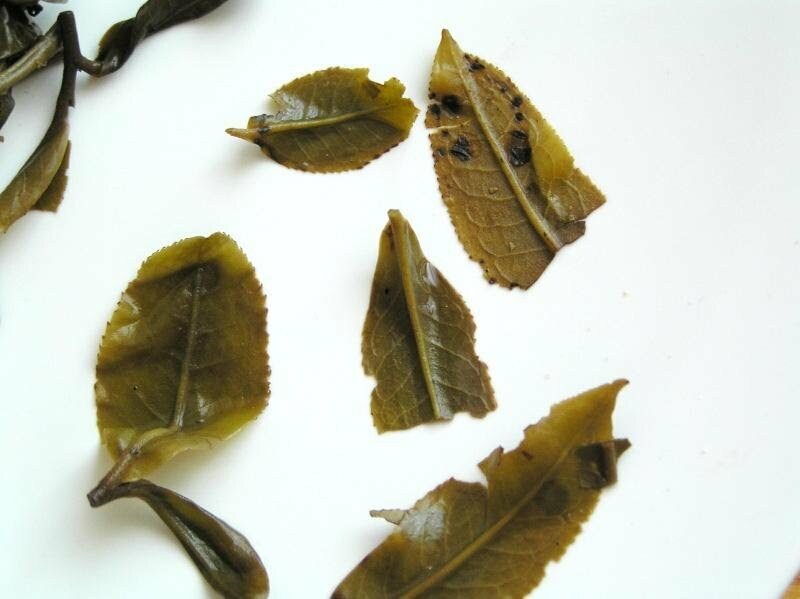 Leaves from the same area were used by Chen Guang He Tang in his 2006 and 2007 Yi Wu beengs. This tea is very fresh. 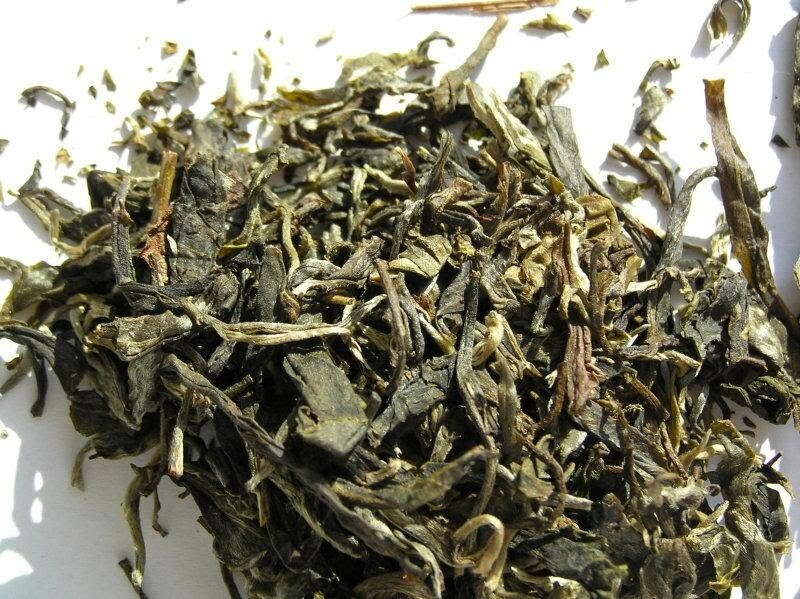 After opening the sample bag I immediately felt the aroma of tea leaves – fruity, slightly grassy. 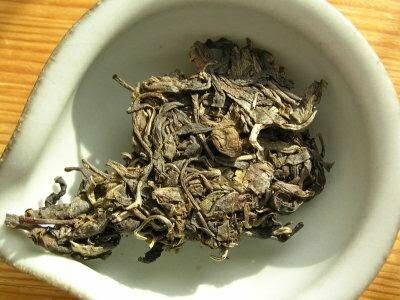 I’m certain this tea will change considerably within next year – it will loose this young feeling and will turn into something different. The tea leaves were quite nice and at least some of them had the wild feeling. The tea was yellow, clear without any detectable smokiness nor astringency. A very good drink-me-now pu-erh with some kick. For me, it’s more on the drink-now side then the age-me side. And since I have way too much beengs opened for drinking right now, I will not buy a beeng of this. By my opinion, this tea is decent, but lacks the true strength and character to be it exceptional. While this tea was good, it certainly wasn’t the best – at least its cha qi did not make me jump, like one of the other samples. While Hobbes liked this one the most, my favorite will be reviewed later. I had the Fo Shou (Buddha hand) oolong harvested in summer 2009 in Wen Shan area of Taiwan. 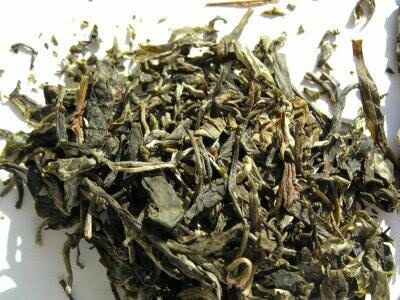 I got this tea from a local vendor, Longfeng, who delivered me lots of great teas before. 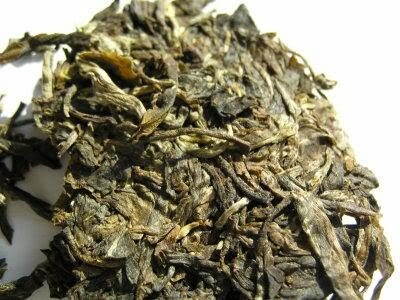 This particular oolong is hand harvested and home roasted. The leaves are small and even with light fruity smell. I prepared this tea “Czech tea-house style” – it is actually a gong-fu preparation in a yixing teapot, though gaiwan is more often used - mostly because good gaiwan is cheaper than a good yixing teapot. There is one specific though - the water used during preparation is kept hot in a glass pitcher with a tea candle lit under it. Because of this, the water isn’t boiling, so you have to use longer steeping times and more leaves. This style of tea making has two major benefits – one do not have to care reheating the water and also there is no danger of burning the tea leaves. This is a quite good oolong – lasted for 8 good infusions, with clear soup and very fresh and fruity aroma. The roasted taste was nearly undetectable. I liked this one a lot. 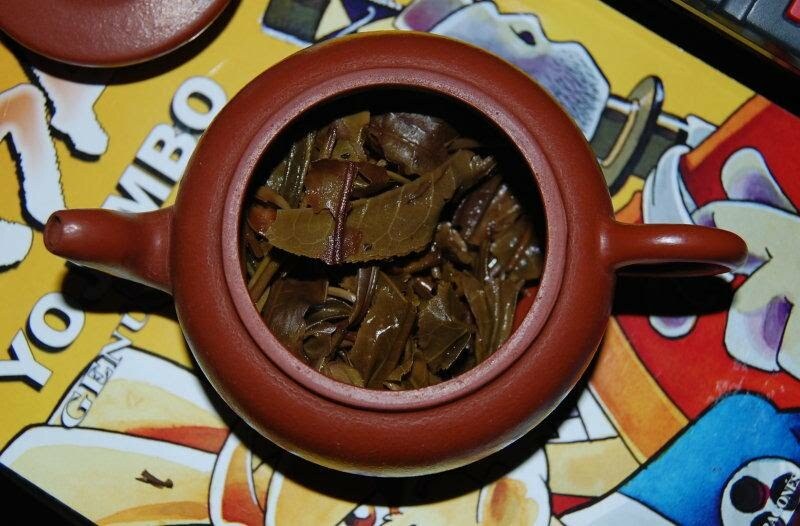 This tea sold by Yunnan Sourcing claims to be wild arbor pu-erh made from first flush 2007 spring mao cha harvested in Bulang mountain range from 70-80 years old tea trees. I got a sample of it together with various other Hai Lang Hao samples, and I decided to give it a try, since Hobbes praised it quite high. From the sample I got I decided to use the whole part – as for most of my stone-pressed beeng samples, I got one half in its pressed form and the second half in separate leaves. The tea liquor smelled quite … it’s hard to describe… Bulangish. It was slightly vegetal with very little smokiness. What kicked me off my feet was the aftertaste of the first few infusions. Strong, clear, everlasting. I believe it is Bulang where Red Bull got the inspiration. Ok, except the taste. Unfortunately, the tea faded quite soon, after the sixth infusion it turned into sweet water. The character found in the first few infusions was completely missing. The leaves are tiny, so I suppose they could be spring harvest and some of them even look like wild arbor.It is an OK choice, but I think I will look into the other Hai Lang Hao samples for something longer lasting. According to information provided by Guang, the Menghai Yieh Sheng (Wild) is a beeng produced by Chen Guang He Tang in 2005 as a blend of Ban Zhan (not Lao Ban Zhang) and other Menghai wild spring leaves harvested at 2005. 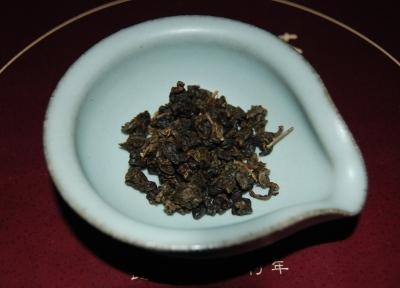 This is one of the more expensive young pu-erh, a standard 357g beeng costs $120. It must be an exceptional cake to justify that price – so I decided to try a sample and if it’s really that good obtain a whole beeng. This tea is produced by the same producer in the same year as the 1st Tea Expo beeng I like very much and even shares the wrapper design with it. Of course, the price is 4 times as much. The leaves point out to quite wet storage being much darker and more brownish than the Tea Expo Memorial beeng. The cake looks stone-molded, the sample could be easily separated into single leaves, so I used the most whole and biggest of them for the first time. The smell of liquor points out to the wet storage, though I found a clear fragrance of peaches under the cellar smell. The taste points out to the Taiwanese storing conditions, too, though the aftertaste is excellent, clear and long lasting. Actually, I liked this tea quite a lot, it was energic and fresh with interesting taste. If this tea is $50 per beeng, I would easily buy few cakes to store and drink later, but since its $120, sadly I have to live without it.